U.S. deputy attorney general Rod Rosenstein remained on the job Monday despite U.S. media reports he would quit or be fired ahead of a White House visit, but speculation is likely to remain high given a scheduled meeting with President Donald Trump on Thursday. U.S. deputy attorney general Rod Rosenstein remained on the job despite U.S. media reports he would quit or be fired ahead of a White House visit, but speculation is likely to remain high given a scheduled meeting with President Donald Trump won't take place until Thursday. Rosenstein, the official who started the special counsel investigation into Russian contacts with Donald Trump's team after the attorney general had recused himself from the matter, was said to have met Monday with John Kelly, the White House chief of staff, among others. 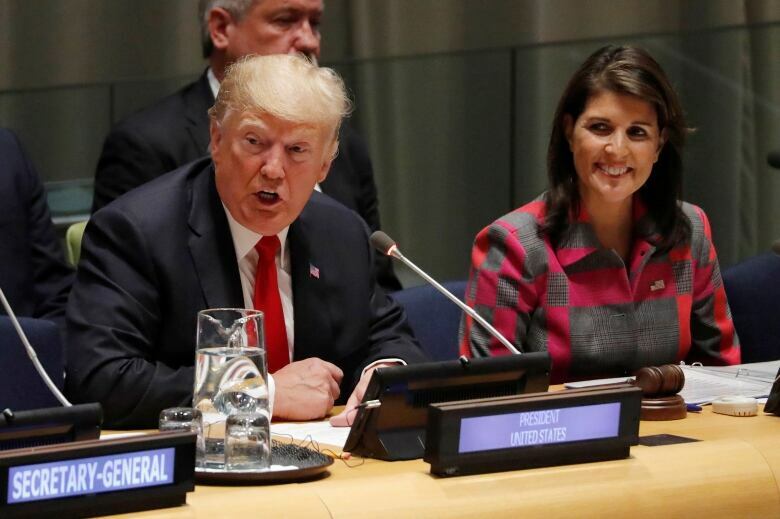 On the sidelines of the UN General Assembly on Monday, Trump said he had spoken with Rosenstein earlier in the day and confirmed the pair will meet in Washington on Thursday. "We'll be meeting at the White House and we'll be determining what's going on," said Trump. "We want to have transparency, we want to have openness, and I look forward to meeting with Rod at that time." The New York Times reported last week that in 2017, Rosenstein had proposed secretly recording Trump and raised the idea of using the 25th Amendment to remove the president as unfit for office. In an interview with Geraldo Rivera that aired Monday, Trump laid blame for the controversy at the feet of his attorney general. "He was hired by Jeff Sessions," Trump said in the interview, which was aired on Fox & Friends. Trump was noncommittal in the same interview about the possibility of firing Rosenstein, who denied the Times report shortly after it was published. "But certainly it's being looked at in terms of what took place, if anything took place, and I'll make a determination sometime later," said Trump. That sometime may be Thursday. The White House released a statement after the deputy attorney general visited with Kelly indicating that Rosenstein and Trump would meet in person on that day. White House spokesperson Sarah Huckabee Sanders said Rosenstein and Trump spoke on Monday, at the Justice Department official's request. The president is currently in New York attending the United Nations General Assembly. 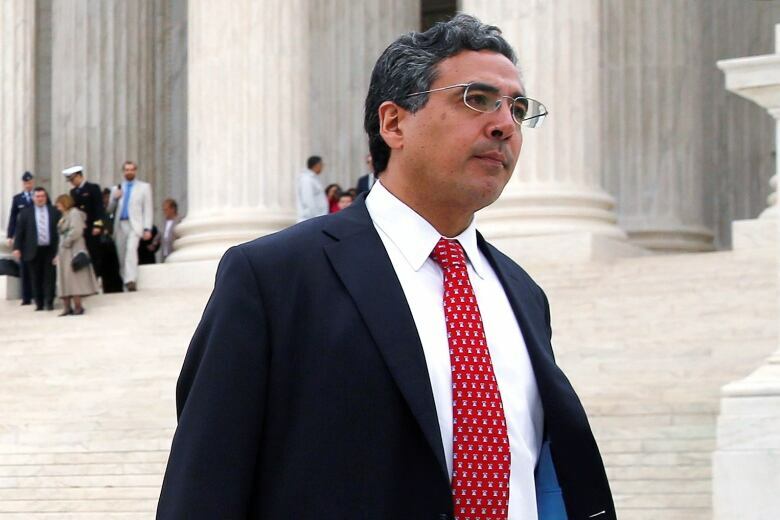 Solicitor General Noel Francisco, the highest-ranking Senate-confirmed official below Rosenstein in the Justice Department, would be next in line to take control of the Mueller investigation. Speculation ran rampant on Monday morning as Rosenstein was driven to the White House. Axios.com reported that Rosenstein had offered his resignation, with other U.S. media outlets indicating he would stay on until told otherwise by the White House. Rosenstein, a lifelong Republican, was sworn in as Trump's deputy attorney general on April 26, 2017. Just two weeks later, Trump fired FBI director James Comey less than halfway through his 10-year term. Trump initially cited Comey's mishandling of an investigation into Hillary Clinton's use of a private email system when she was secretary of state, but he admitted days later that Comey's investigation into "this Russia thing" was a factor. 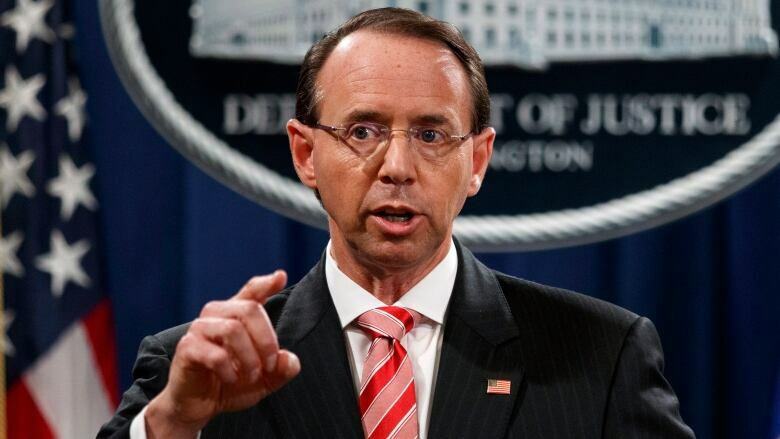 In the wake of Comey's firing, Rosenstein appointed a special counsel, former FBI chief Robert Mueller, on May 18 to investigate "any links and/or co-ordination between the Russian government and individuals associated with the campaign of President Donald Trump; and any matters that arose or may arise directly from the investigation." Rosenstein had the authority to make that move after Sessions was forced to recuse himself from any potential Russian investigations because he'd had contacts with officials from Moscow while he was a Trump campaign advocate in 2016. Since then, Trump has increasingly railed against Sessions, Rosenstein and the special counsel investigation as it has led to indictments of nearly three dozen individuals and guilty pleas from one-time Trump associates Michael Flynn, Rick Gates, Paul Manafort and George Papadopoulos. Investigations into Trump's personal attorney Michael Cohen were referred to the State of New York. Cohen, too, reached a plea deal with authorities. In addition to Comey, frequent Trump targets for criticism such as Andrew McCabe and Peter Strzok of the FBI have been dismissed. Any termination or resignation could have immediate implications for Mueller's investigation. While the investigation would likely not test the belief that a sitting president can be indicted, it could result in a report with findings of obstruction of justice or conspiracy. That would potentially leave the door open for impeachment hearings. The removal of Rosenstein would become another flashpoint in the midterm congressional races, as Republicans are seeking to prevent the Democrats from gaining control of the House — where the impeachment process could be initiated — and possibly the Senate after Nov. 6. McCabe released a statement expressing his concerns if Rosenstein were to depart. "There is nothing more important to the integrity of law enforcement and the rule of law than protecting the investigation of special counsel Mueller," McCabe said in a statement. "If the rumours of Deputy AG's Rosenstein's departure are true, I am deeply concerned that it puts that investigation at risk." 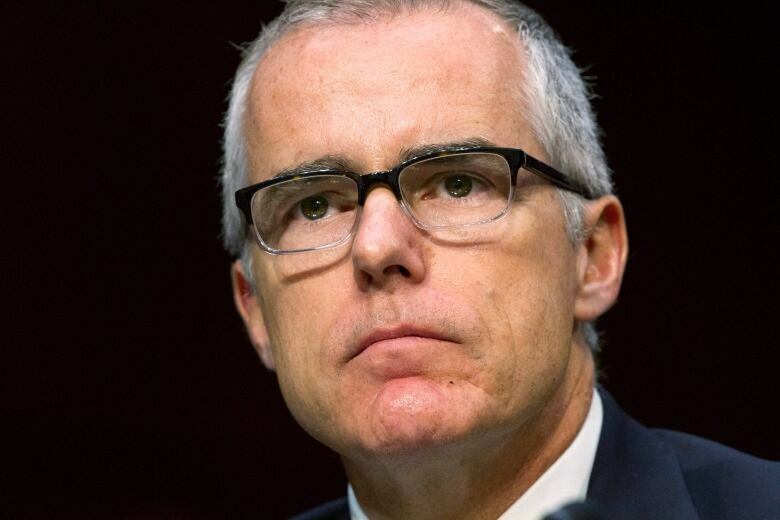 McCabe also said he had "no role" in providing information to the recent news stories concerning alleged Rosenstein comments last year. In the wake of the Times report last week, Democratic Rep. Adam Schiff of California warned the administration against any action against Rosenstein and urged Republicans to check Trump's interference, saying it could amount to a "constitutional crisis." The timing would also come as the White House is defending its Supreme Court nominee Brett Kavanaugh in the face of allegations of sexual misconduct in the 1980s.